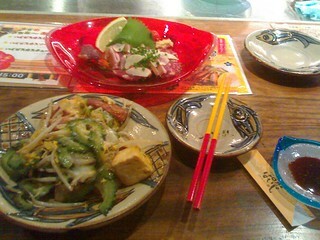 They are what I ate at a restaurant in Naha. Yagisashi, sliced raw goat's flesh, is placed on the red dish with minced ginger and sliced garlic. Naha, Okinawa, Japan.